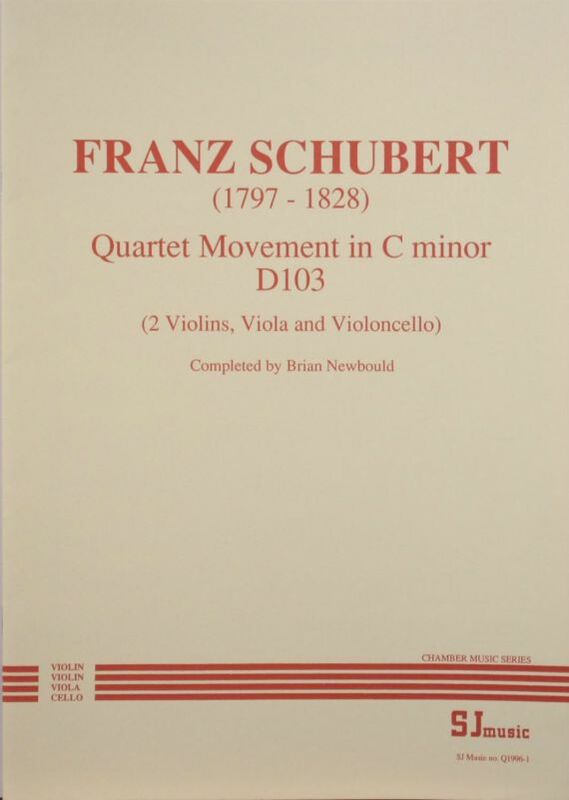 This straightforward single movement string quartet is based on an autograph fragment of what was probably a complete Schubert quartet (A248 in the Library of the Gesell-schaft der Musikfreunde in Vienna). It ends with a tie, pointing suggestively ahead to a continuation. The fragment comprises a slow introduction followed by an Allegro, and runs to 296 bars. Brian Newbould’s completion of the quartet movement in 1996 was commissioned by the Maggini Quartet.